Had two tyres fitted and tracking done at the online price that was agreed in branch, they recommended that I go back there for my first MOT of which will be in November this year, the price would be competitive with other garages. The staff especially the manager Paul are very helpful, competant and trustworthy. I always go to this garage and recommend them to my family and friends. I'm always very pleased with the customer service I receive from the Dudley Rd Wolverhampton auto care centre. 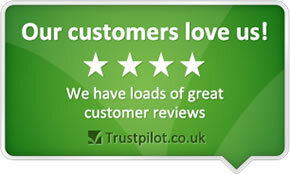 The Manager Paul Wooton provides excellent service and I feel I can trust him with any decisions made about my car. Thanks Paul. Very professional and fast service from the Wolverhampton staff members. Tyre in stock. Best price locally. Appointment made to suit me. Easy access to fitting centre. Swift service. I found the service to professional but friendly. Managed to book me in with very little notice. Went into Wolverhampton branch and they found to be more wrong with the car than I thought. Honest and fantastic staff( Jason and Frank) will be going back for anything next time! Thankyou!!! Zak. I have used National Wolverhampton on numerous occasions for tyres and MOTs and have always found the staff friendly and helpful. excellent service, reasonably priced and also the gentleman behind counter offered me products that were better and also slightly cheaper due to being on promotion at the time. Quick service, able to book and pay online at a reasonable price and open early on the weekend. Information given and service that followed good. Clear explanation of quote. Excellent quick service on arriving at garage. Garage situated in town where we visit. New tyres fitted and engineer explained what had been done in a clear and professional manner. Efficient service even if they nearly reversed our car into another customer! I contacted your Wolverhampton Branch (28 Dudley Rd) on 20th June for advise on what new tyres I should purchase for my car ( I had previously researched options on the internet) Michael was very helpful and the price he quoted was better than the your competitors. As arranged I took my car into the centre today. I was shown by Michael the 4 tyres he was about fit. I choose to wait whilst my tyres were being changed. All the staff working were very pleasant, When I enquired as to whether they had a coffee machine, I was made coffee Brilliant!! The level of professionalism and customer service I received today at the branch far exceeded my expectations which has prompted leave this feedback as a thank you and in recognition of my experience at your Wolverhampton centre. Good price, did the job as promised, pleasant staff. It was very refreshing to receive quality customer care with a smile. Both Michael Walsh & Leslie Wilkins were professional and customer focused. Despite my appointment not being until the next day, the staff were keen to see me there and then when they knew it was more convenient for me. Also, when my pre-paid order was wrong they made sure I got a full refund over the phone and met my requirements fully. i received friendly service with a helpful attitude. very helpful and friendly spot on service. very friendly staff, very informative. Great service and prompt attention. Friendly staff. Had an MOT recently which failed. It was going to cost me a fair amount to fix the problems. I felt the the advice given was genuine, sympathetic and honest. It made the decision to spend so much money at this difficult time of year easier to handle. Staff were friendly too. Will go back. I would recommend Michelin tyres because they last long and have good grip. Friendly, explained everything clearly, didn't have to wait too long, pointed out other information / offers and services they provided for future reference. Friendly and genuine customer service. Price was slightly high which meant I gave an 8. I needed to get my winter tyres put on my vehicle and your staff were able to help me out without any issues. The work was done quickly and my summer tyres were put in my boot ready to take away. Far better experience than I've had with Kwik Fit who couldn't be bothered. had excellant service today. The staff were friendly and polite. as a female always a little nervous about using garages but wouldnt hesitate to use again. Friendly and fast quality service, fair price. Helpful friendly staff. Minimum wait. Good price and friendley service. good customer service,friendly,fast and great price. very helpful and honnest staff as they showed me the fault. Sorted car out whilst I waited. Good service,but I am a girl so I feel like I get treated better when I take my dad with me! Good advice, information and support. The staff are friendly and helpful. They give you excellent advise. One of your sales/mechanic was quite helpful .His name is Paul Wootton .My car needed a new exhaust to pass the MOT and after an intial query,the work was done the next day .Hopefully all goes well. Very helpful in sorting my problem out for wheel and tyre. Plus they were open on the day after boxing day which really helped me out as everywhere else was closed. Good service by courteous staff. The guys in the Wolverhampton centre were very helpful and accommodating and seemed to know what they were talking about. All tyre problems and suggested remedies were explained very clearly. Quality of customer service and considerate attitude. Excellent standards in both the workshops and customer waiting areas. The Mot was carried out as per the permitted time allocated. Quality of service and curtious staff. Excellent standards both within the Garage and waiting room areas. Polite staff and very friendly and informs and shows you exactly what needs doing to the car without adding extras.They do not rip you off like other garages. I found the garage to display high standards in all areas of both the customer waiting areas and layout of the work areas. The staff and manager where very friendly and professional at all times. Efficient helpful service and good price. Very friendly and fast service. Even my mom was impressed when she took the car in the next week for an oil change! Friendly, Helpful Staff who gave excellent Service. Prices were most competitive. Drinks were offered during my short wait. Staff were helpful & friendly. Service was excellent and prices were most competitive.I was also offered a drink as I needed another job doing which meant I had to wait for a short time. i have already recommended National Tyres and auto care to my dad, my husband and to friends. Very good Customer Service . Prompt attention (No, or very little waiting) - Clean and well presented facilities. Strong Value for money and Very good tyres - especially Barum Bravuris 2 stocked Positive and friendly Staff.